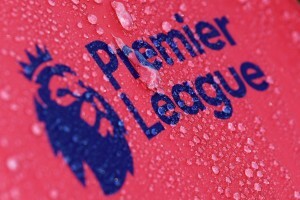 The spring in the step, the euphoria, the excitement and the expectation is back at the most supported club in Goa. 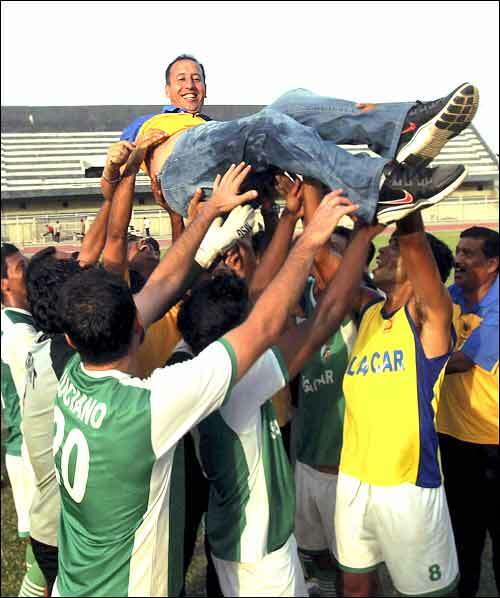 After more than a decade of agony, misery, suffering and pain, Salgaocar Sports Club are finally back to where they belong – the summit of Indian football. What a season it was last year for the Green Brigade after no one gave them a chance after the humiliating 6-1 loss to Mohun Bagan in the Federation Cup. They didn’t make a strong start to the League either. But the resilience and character shown by Karim’s young Turks was definitely the highlight of last season. The way the boys of Salgaocar stood up to the men of East Bengal, specially in that crucial game in Goa still brings goose bumps to many Salgaocar fans. This year though it is something different for them – a chance to compete in Asia. Karim and Salgaocar will be relishing that challenge. TheHardTackle presents a preview of their season. Karanjit Singh’s brilliant performances under the bar last season helped Salgaocar Sports Club to the coveted I-League crown and it is no surprise that he got a call-up to the national team, where again he performed admirably in the World Cup qualifiers against UAE after the sending-off of Subrata Paul. Karanjit had a brilliant debut last season and will look to continue the good form this year too. Salgaocar have signed Churchill Brothers goalkeeper Vinay Singh as a replacement for Arnab Das Sharma, who has left after one season with the club. Macklas Moraes continues with the Green Brigade for another season, while young junior product Presley Mascarenhas has been promoted to the senior team. Karanjit will no doubt be their first choice and will look to provide serious competition to Subrata Paul with some good performances in the Salgaocar jersey this season. Vinay Singh and Maclas Moraes will be more than able replacements and the over 6-feet tall Presley Mascarenhas will be waiting with open arms for a chance to guard the Salgacocar citadel in a big game. THT Verdict: A good mixture of youth and experience at the last line of Salgaocars defence. Young Presley is raring to go and will give Maclas and Vinay a good fight for the No.2 spot. All in all a safe quartet of shot-stoppers for Salgaocar. Salgaocar have made the most purchases this season in defense. As many as seven defenders have been bought by the defending champions this year. Salgaocar have got more than able replacements for the defensive trio of Syed Farid, Thoi Singh and Govin Singh, all of whom have left for Bhaichung Bhutia’s Sikkim United FC. Mehrajuddin Wadoo, Gagandeep Singh, Balwant Singh, Vivek Kahaira, Augustin Fernandes, Nicolau Colaco and Randeep Singh have all been signed this season. The biggest signing in defense no doubt has been that of former India player Mehraj, who definitely has been signed with an eye on Asia. Randeep Singh who had a brilliant season for JCT last year is also one of Salgaocars significant buys in defense. The signing of the young Seas quartet – Augustin Fernandes, Nicolau Colaco, Gagandeep Singh and Viuvek Khaira has given them the much needed depth as they challenge at the continental level. 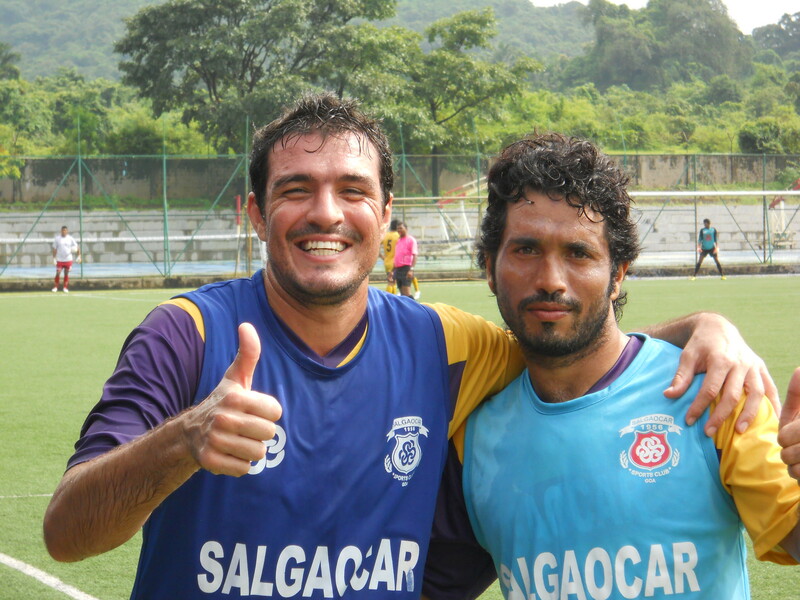 Salgaocar and Karim have always believed that a great side starts from behind. Last year they conceded only 27 goals in the whole season, the best defensive record after East Bengal. The form of Luciana Sabrosa was the main reason behind that watertight defense. The story looks to continue this year too. THT Verdict: The core of the defense has been retained. Mehraj and Sabrosa look automatic starters at the center of defense that will also have Jaspal – who was brilliant last season-as a back up. The addition of JCT’s Randeep Singh and Balwant Singh will further strengthen the defense. Salgaocar prided themselves on having a brilliant midfield last season and this year too Karim has handpicked his midfield for the season. The majority of the midfield remains the same with the quality additions of Ishfaq Ahmed, Rahul Kumar and Biswajit Saha. The midfield looks brilliant on paper when you add the likes of Tomba Singh, Francis Fernandes, Anthony Barbosa and Gilbert Oliveira. The fact that Ryuji Sueoka and Edeh Chidi can also be employed in midfield makes them a formidable half line. Anthony Barbosa and Francis Fernandes, after stupendous showing last season, won a call-up to the India camp. They will look to prove that it was no flash in the pan. Ishfaq too will have to fight for his place in this formidable midfield line up and that augurs well for Karim’s young Turks. The return of former India junior player Beevan D’Mello after a year-long injury will add a new dimension to Salgaocar’s midfield with his ability to score goals from hopeless situations. Then there’s young Gilbert Oliveira and Biswajit Saha to count on, the former being one of the best young players and possibly the find of last season. THT Verdict: Definitely one of the best midfield in the country. Karim has nurtured this midfield like his own baby and it is no surprise that it was his forte last season. The entire midfield as last season is available at his disposal this year too and the new additions would help them compete in Asia too. Stikers: Junior Elijah, Edeh Chidi, Ryuji Sueoka, Mohammed Dada Nabeel, Karthick Kisku, Marcus Mascarenhas, Milagres Gonsalves, Clifton Fernandes, Aliston Fernandes. Their most dependable player of last season Yusif Yakubu has left them but the replacements signed by Karim Bencherifa are more than enough to fill up the void. Edeh Chidi is as good as anyone on his day while the lanky Junior Elijah, if he stays fit, could match the best in the business. Then there is one of the standout performers of last season in Japanese Ryuji Sueoka. The addition of Mohammed Dada Nabeel will add further depth to their strike force along with the versatile Milagres Gonsalves and the fit again Marcus Mascarenhas. Last year, Ryuji Sueoka (18) and Yusif Yakubu (15) together scored more than half of Salgaocars 54 goals in the season. They will once again look to their inspirational Japanese, who will this time be partnered by a Nigerian. THT Verdict: The departure of Yusif Yakubu has left a void but the additions, shrewdly handpicked, by Karim Bencherifa, are more than enough to make up for the Ghanaian sharpshooters absence. 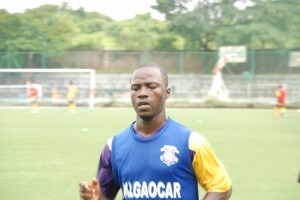 Chidi is quality and has the experience of playing in Asia that will help Salgaocar a great deal. His combination with Sueoka will no doubt be the deciding factor, whether Salgaocar retain their I-League crown and make an impression at the continental level. I-League: The defending Champions look good for another I-League crown and have built a solid squad and will be right up there at the end of the season, hopefully for the Green Brigade, at the pinnacle again. Can Salgaocar become only the third team after East Bengal and Dempo to retain their crown? Federation Cup: The humiliating loss to Mohun Bagan in the Federation Cup last season still hurts and that was probably the turning point for Salgaocar. They played brilliantly after the Federation Cup debacle. They will be looking to set the record straight this season with a strong performance this year. AFC Cup/Champions League: It’s their debut in Asia’s premier Club competition – AFC Champions League – this season where they will bid to become the first Indian team to qualify for the prestigious tournament. In the event they lose their qualifying match they will still play in the AFC Cup. The AFC Cup has been the Achilles heel for teams in India. Dempo suffered domestically last season due to their engagements in Asia and that was probably the reason why they lost their crown. 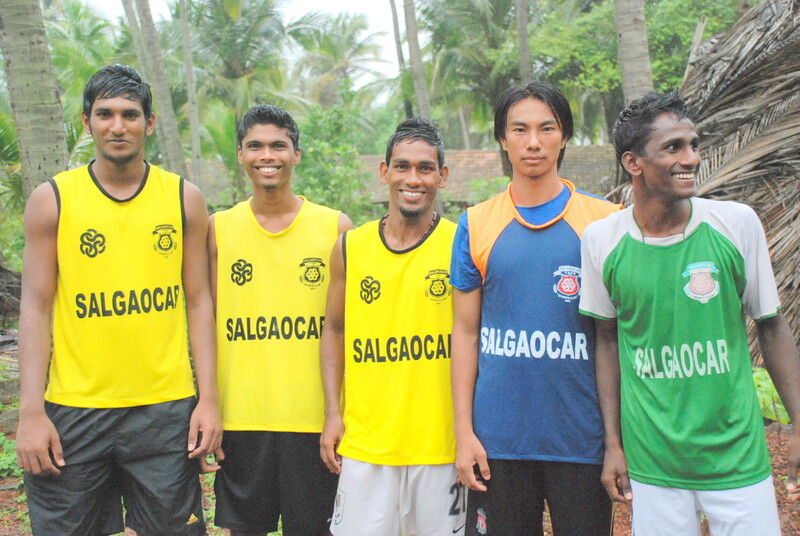 It’s time for Salgaocar to show India that they can perform well in Asia and in India. Goa League: Salgaocar haven’t won the Goa League in a long time and will look to grab hold of the title this season. Their strong crop of youngsters will be used in this tournament and hopefully they will make an impact and break in into the first team. Consistency: It’s easy to get to the top but a monstrous task to stay there. This is something Salgaocar will realize as the season progresses. Almost every team in India has strengthened their squad with the Bengal teams spending astronomical sums of money to build a strong squad. Salgaocar will find it tough to cope with all the pressure, however if they remain consistent then there’s no stopping them. That is definitely something that Karim will want from his boys- consistent performances to prove that 2010-11 was not a one night stand. Salgaocar fans will be hoping the above picture repeats this season. What does one do when you’re on a high? Well you cash in and go overdrive to build your image. That’s exactly what Salgaocar has done. They have launched a new website this year-www.salgaocarsc.in and have signed an agreement with Brand Harvest to build their image across the country and the world. Definitely a sign of professionalism from India’s Champion Club. Their youth development system has been voted the best in India by the AFC and they are definitely reaping the benefits. After a long hiatus, Salgaocar have well and truly woken up from their slumber and a good showing in Asia will just be the icing on the cake for Shivanand Salgaocar and Karim Bencherifa. When a team that was down in the dumps rises up so strongly, you just can’t help standing up and applauding, even if you’re a Dempo or a Churchill Brothers fan. Way to go for Karim’s youngistan brigade. @Jonathan It would be better if we can give a probable lineup and a picture to explain the play and the player positions just like the Mohan Bagan analysis? ?And what 11 eleven do u reckon salgocar would start with and what formation? ?